Vibrant hues, luxurious silks, beads, brooches and rhinestones – These are definitely not your average hide-away sachets. 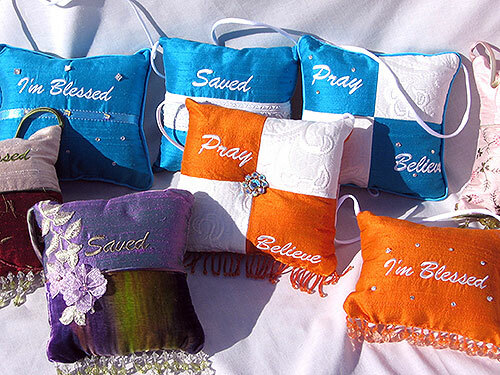 Hang them on the doorknob – place them on your bed – Perfect pillow for car, office, traveling, hospital stay… and more. 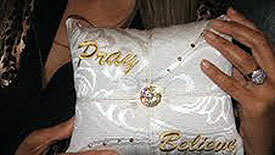 A GREAT GIFT for Birthdays – Baptisms – Bridal Showers – Graduations – ill loved ones… the list goes on.